I just spent a chunk of last week in Phoenix, at Jeff Walkers Product Launch Formula. Jeff is a marketing expert who teaches how to launch a product using a process he’s been using for at least 16 years. My business partner, Nancy Fields (http://fieldsgraphicdesign.com), and I spent two days getting clear on our product and defining our next steps for a launch that is coming soon. We also spent a lot of time talking to others, asking opinions about what we were doing. The action of presenting your ideas to others is scary. But this group is special because the kind of feedback you get is helpful. There is no sarcasm, no criticism of YOU. Your ideas may be criticized but not who you are or how you are doing things. 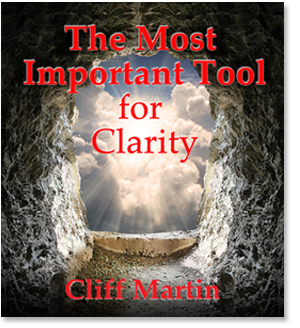 It is in the attempt to act that clarity becomes clear. For me I’ve been struggling with the juxtaposition of two problems. In the cauldron of creativity of the meetings these problems generated a very elegant solution. It was the acting i.e. the presentation of ideas to those who don’t know me that let the clarity come forward. When looking for clarity don’t just think about it; take some small action. Then talk to others until clarity bursts upon you; Act for a clear week!